Jugnu Shardeya started writing in 1968 for the monthly magazine Jan published by socialist party of India (founding editor, Dr. Ram Manohar Lohia). 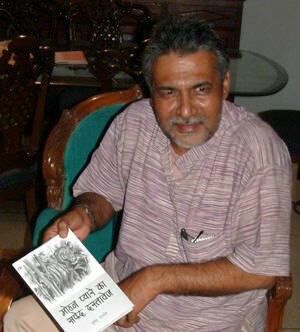 Since then he has written regularly in Hindi magazines in India like Dharamyug, Dinmaan and Ravivaar. In 1974, he joined the call for total revolution by Jai Prakash Narayan. Apart from his work as journalist, writer, film maker and television, his relationship with nature and wild-life began in 1978, in the forests of India. Though he has written poetry, stories and novels, he identifies himself most as a journalist.